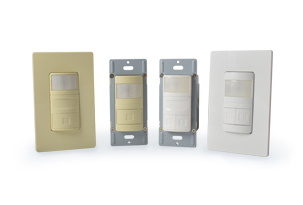 Wall switch sensors are designed to replace conventional wall switches, and provide occupancy or vacancy sensing control to the lighting of various applications including private offices, conference rooms, break rooms, utility rooms, dressing rooms, single restrooms and garages. In addition to the sensor controls, wall switch sensors also allow users manual control via push button operation. WALLSENZR WALLSENZR Wall Switch Sensor is a combination of commercial wall switch sensors featuring innovative designs and superior functions.